Master Ha Kinh visited Vancouver, B.C. 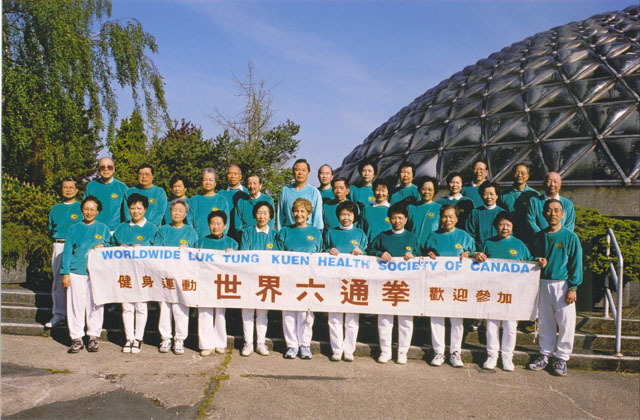 in 1990 and in the following year, Worldwide Luk Tung Kuen Canada Health Society was founded. 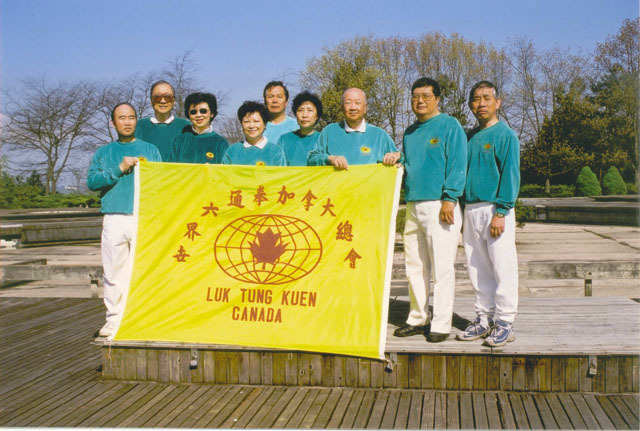 They began as a small group offering free Luk Tung Kuen lessons in Queen Elizabeth Park. New learners were drawn in when they realized such exercise was amazingly effective to most chronic diseases. After six hard working years of their promotional efforts, Luk Tung Kuen was expand to three more Vancouver districts, namely Killarney Division, Chinatown and Champaign Domains. 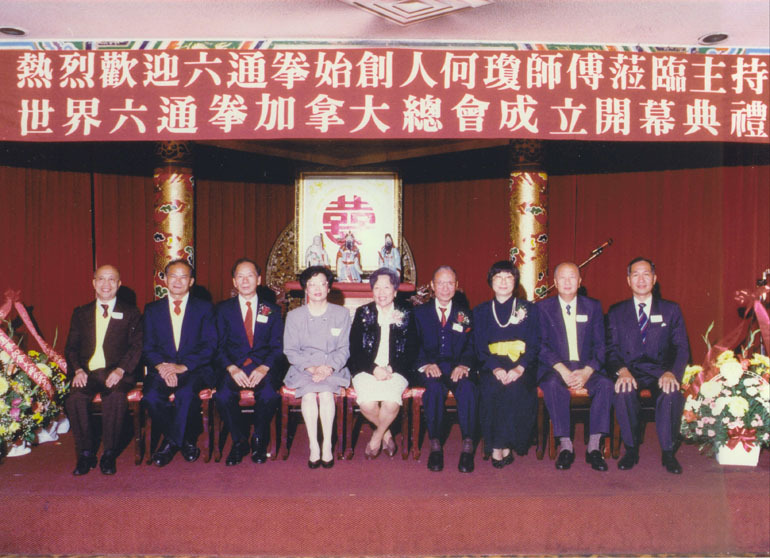 They also built close relationship with several Luk Tung Kuen Societies in Calgary and Toronto. 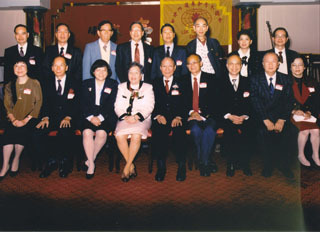 The Society had a combined membership of near 1,000 in 1997. Vancouver City Authority, especially the Board of Parks and Recreation, offered tremendous assistance in arranging free access of Park site usage both in Q.E. Park and Andy Livingston Park. Killarney Community Centre also officially accepted Luk Tung Kuen Killarney Division as one of their collaborators. 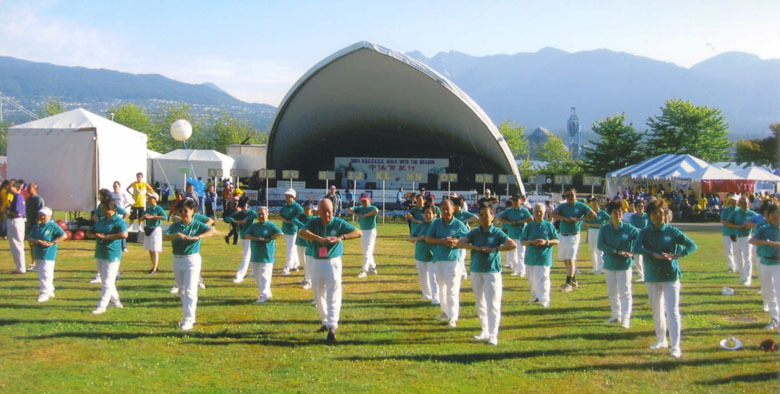 Chinese Community Diabetic Education Society of Vancouver invites Luk Tung Kuen Canada Health Society during their weekly education classes for hand-on physical exercise demonstrations. Luk Tung Kuen also participated in Vancouver's yearly Health Fair held by local medical associations. 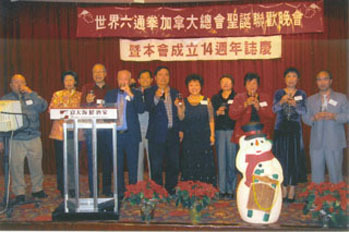 As Master Ha Kinh has always advised her Canadian students to support local charity movements such as Walk with the Dragon by S.U.C.C.E.S.S., and various hospitals' fund raising activities.